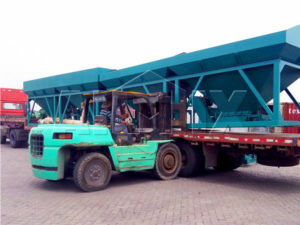 Mobile asphalt plant for sale from AIMIX GROUP can produce asphalt 40t-160t per hour, it is equipped with tyres, can achieve convenient movement, suitable for rapid production of asphalt in many adjacent construction sites. If your project is short-term, it will be your ideal choice. 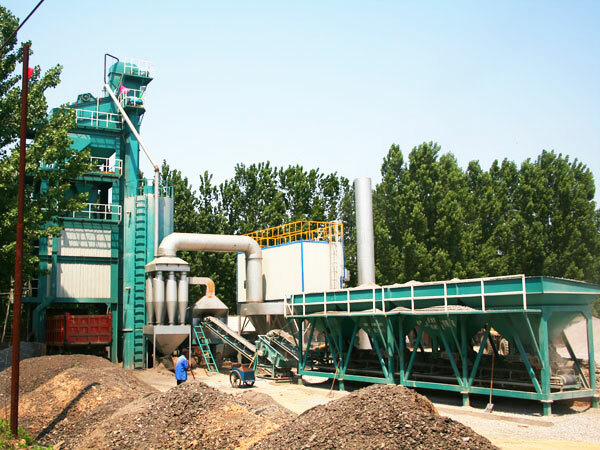 Most important is that aimix mobile asphalt plant can reach effective and stable performance, produce various kinds of grade asphalt for highways. We AIMIX GROUP aims to try our best to satisfy users, therefore, we can do flexible configuration according to customers’ needs. 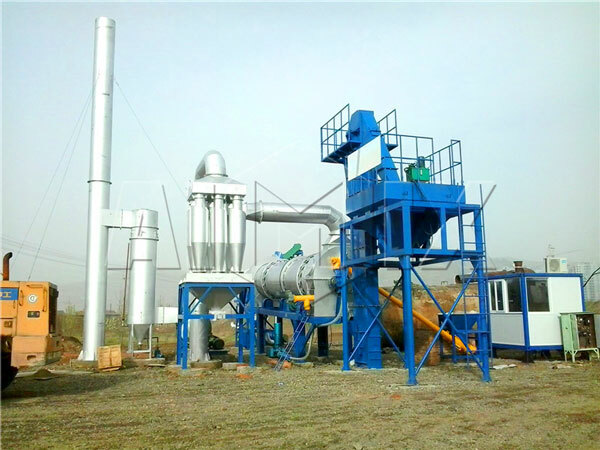 Cost of investing and maintaining a mobile asphalt batching plant is low, labor cost is also low, because we adopt fully automatic control system. High-standard environmental protection design, both coal and oil are acceptable, there is also emergency shut down to ensure the safety of whole asphalt mixing plant mobile. 1. Aggregate bin with large capacity, sand bin adopts unique structure to prevent arch camber of fine aggregate, which effectively ensure the continuous production of mobile asphalt batch mixing plant. 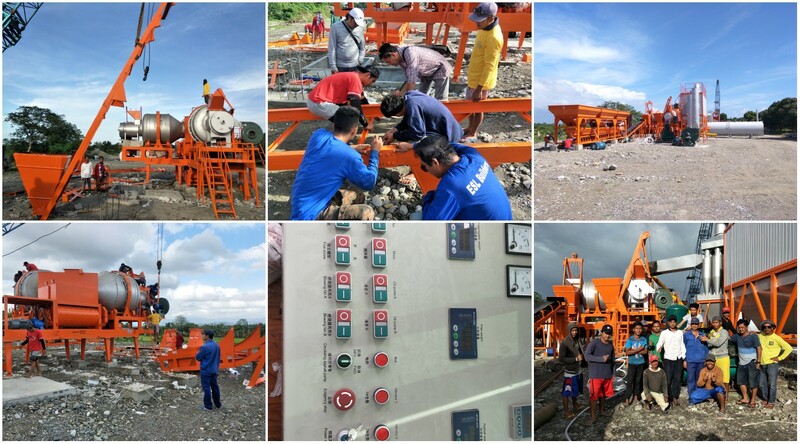 Aggregate weighing system ensure the gradation accuracy of various raw materials, oil to stone ratio accuracy between aggregate and asphalt. 2. Asphalt supply and weighing. Heat conduction oil heating system keep the temperature of asphalt, and keep the quality of finished asphalt. Weighing system can output the quality signal, reduce the influence of asphalt temperature change on the measurement results, weighing accuracy can reach 0.1%. high pressure shower spraying structure ensure uniform spraying, patent number is: 201020156799.0. 3. Dust collector. 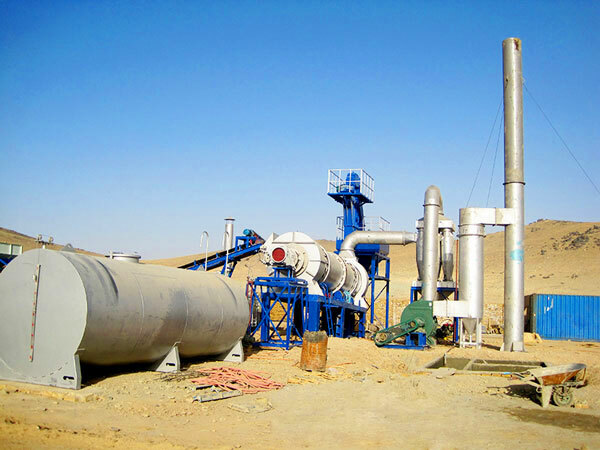 There are three types of dust collecting method in working process of mobile asphalt mixing plant, primary volute casing collector, cyclone dust removal and bag dust removal, which is very reliable, effective and energy-saving! 4. 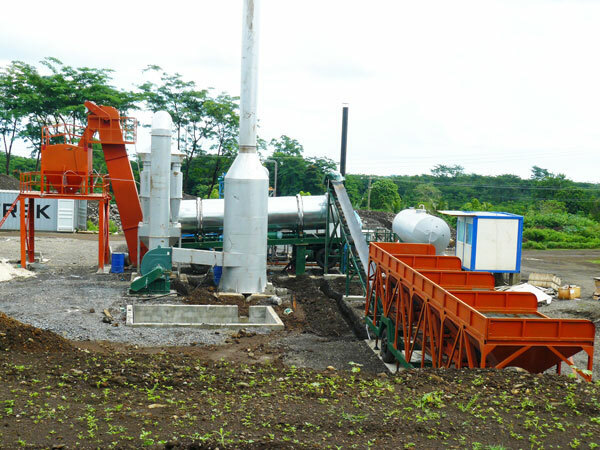 Vibrating screening system. Set by floor and block, which is fast and convenient to maintain, we use brand high-intensive manganese steel to woven wire screen, so screen has long service life. The whole vibrating screening system is sealed, no dust will spill out. 5. 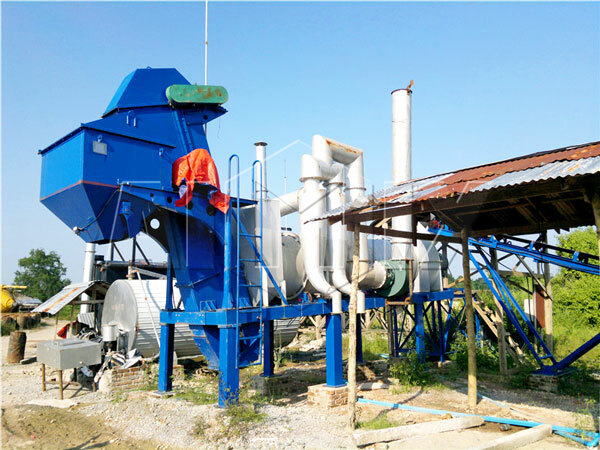 Drying drum in mobile asphalt batch mixing plant for sale adopts patent materials lifting blades, patent number is: 200520031574.1. And uses new aluminum foil coated insulation layer, reduce heat loss and save fuel. Burning zone adopts wear-resistant an heat-resistant materials, which prolongs the service life. There is automatic temperature control system set at the discharge hole. 6. 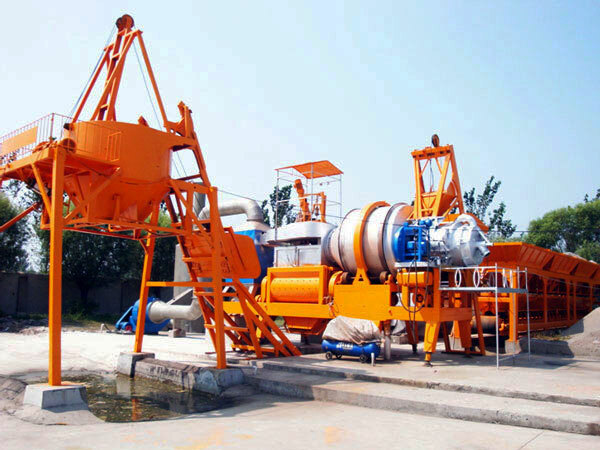 Mixing system of mobile asphalt mixing plant for sale includes two parts: mixer and mixing tower. For mixer, we have patent technology, patent number is 201020241366.5, eliminate the phenomenon of mixture binds and materials leakage. There is equipped with wear-resistant chromium-molybdenum alloy blade and liner plate in the mixer, and it is equipped with safety protection device, in an emergency situation, can do prompt braking action. 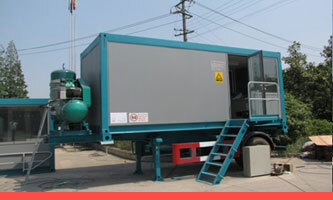 While for mixing tower it is modular design, easy to move and install. 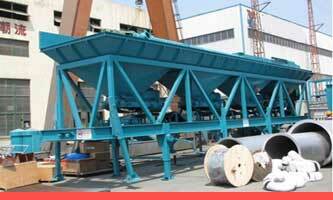 There is also hot aggregate warehouse with large capacity, can do quick adjustment of materials ratio. 7. Fully automatic control system, we use Germany Siemens PLC control system, ensure safe and reliable function. 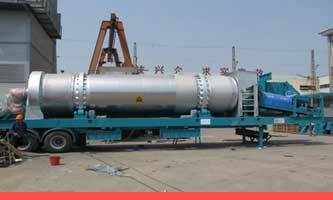 Therefore, investing a mobile asphalt concrete plant is very convenient. 1. 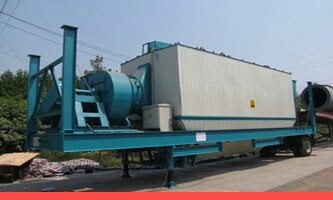 Search online for mobile asphalt batching plants manufacturer. If your local area doesn’t have supplier, you need to look through the search engine, such as, google, bing, Yahoo, etc, then you can visit the results at the first three pages. 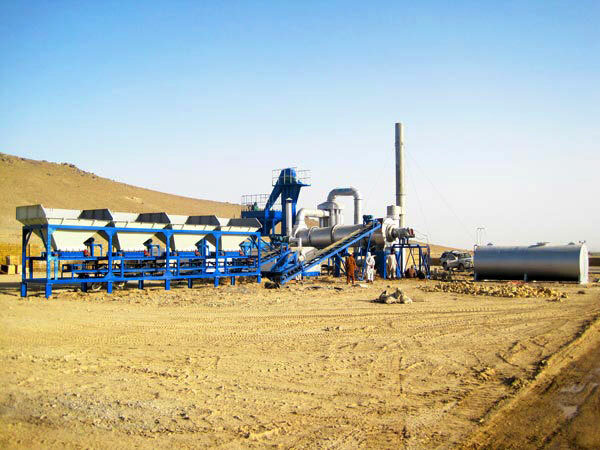 For example, you need asphalt plant mobile, you need to search“mobile asphalt plant for sale”， then you can get some results, visit them one by one, after comparison and choose several reliable manufacturers. 2. 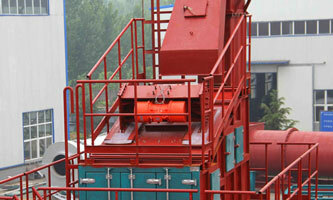 Contact with mobile asphalt mixing plant supplier. 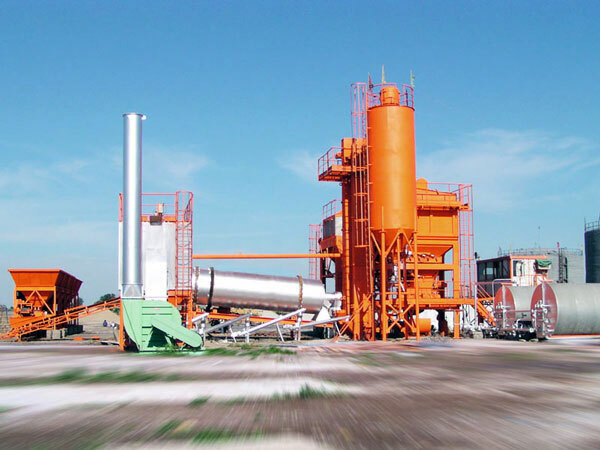 A reputable supplier must have many types of mobile asphalt batch mix plant on sale, you need to ask them for best price according to your real needs, then if possible, you can pay a visit to their mobile asphalt batch plant factory, seeing is believing, only you see it, you will know whether the plant is worth. 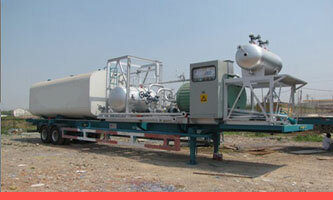 If ok, you can negotiate the mobile asphalt plant price with the company, and to get a best price. 3. We AIMIX GROUP warmly welcome you to visit us, and we hope you can see the value of our small mobile asphalt plant. What’s more, we can provide you with perfect service, including after-sales service, up to now, we have established after-sales service office in Pakistan, Philippines, Sri Lanka, Uzbekistan, Indonesia, etc, we will be here to serve you! And we also set up spare parts supply warehouse, as long as you contact us, we will supply spare parts within 48 hours. 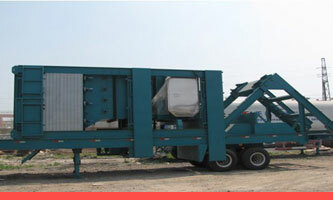 Our mobile asphalt plant for sale has won good reputation from our new and old customers, what are you waiting for? Contact us for best price!